Obituary – Hamann, Dwight Ray « Perry High School Alumni Association, Inc.
Dwight R. Hamann, 60, of Stillwater, Oklahoma was born on August 29, 1955 in Perry, Oklahoma. He is the son of Reinhold Henry and Virginia Leone (Pitts) Hamann. Dwight went to be with his heavenly father on Monday, February 8, 2016 in Stillwater, Oklahoma. 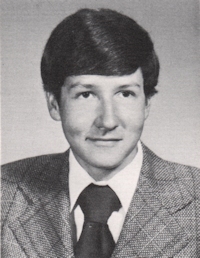 Dwight was a 1973 graduate of Perry High School. He later attended and graduated from Oklahoma State University in 1987. He obtained his CPA license in 1998. Dwight began his banking career with Exchange Bank & Trust in 1988. On February 8, 1994, he was elected a Director of Exchange Bank & Trust. 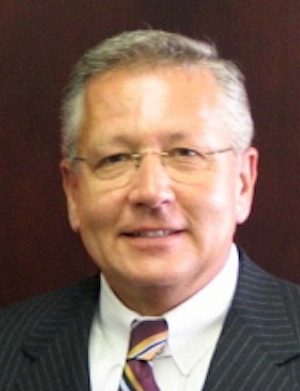 He became the President of the Stillwater Bank, when the bank began operations in Stillwater on February 12, 2008. He was an automobile and motorcycle enthusiast. Dwight enjoyed spending time with his two cats Joey and JJ “Joey Junior”. He will be remembered as a compassionate, loving man who enjoyed helping people. He was an officer and served on the Board of Directors of Exchange Bank & Trust, member and past-president of the Perry Rotary Club, served on the Perry board of directors for Habitat for Humanity, member of Christ Lutheran Church. Visitation for Dwight will begin on Wednesday, February 10, 2016 from Noon till 8:00 p.m. and Thursday, February 11, 2016, from 8:00 a.m. till 8:00 p.m. at Brown- Dugger Funeral Home, 1010 North 7th Street, Perry, Oklahoma. Funeral services will be held at 10:30 a.m., Friday, February 12, 2016 at the Christ Lutheran Church in Perry, Oklahoma. Rev. William Metz will officiate. Interment will be in Grace Hill Cemetery in Perry, Oklahoma. Services have been entrusted to the care of Martin-Dugger Funeral Home in Elk City, Oklahoma. Dwight is survived by his brother, Steve Hamann and his wife Carol of Garden City, Kansas, two nieces; Sarah M. Hamann of Minden, Louisiana, Adrienne M Hamann of Manhattan, Kansas, two nephews; Lindsay S. Hamann of Littleton, Colorado, Paul S. Hamann of Shreveport, Louisiana, three cousins; Jim Hanyka and his wife Debbie, Ronald Hamann and his wife Sandy, Barbara Bright and her husband Marvin, all of Perry, Oklahoma. He is preceded in death by parents, Reinhold Henry and Virginia Leone Hamann. Memorials can be made to the Noble County PAWS in care of Martin-Dugger Funeral Home, 600 W. Country Club Blvd, Elk City, Oklahoma 73644.